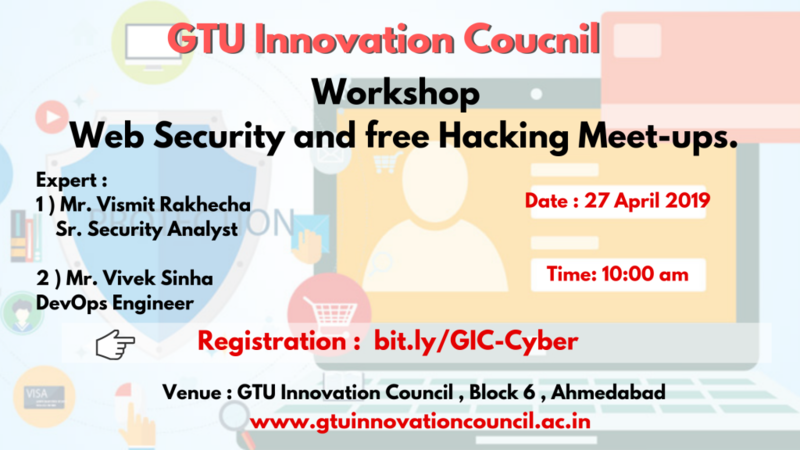 GTU Innovation Council is Organising Session on Websecurity and Cloud Computing on 27 April 2019. 10:00 am. Sr. Security Analyst/OWASP Ahmedabad Chapter Lead. Ahmedabad. DevOps engineer Design Architecture and Cloud computing. Ahmedabad.